From the track record of Robert Balotsky’s work as Buku, it’s clear that the Pittsburgh native and graduate of Music Technology is a well-equipped architect of twisted, layered soundscapes. With a menacing grasp on sound design and music theory, Buku combines deceptively simple and emotive melodies, laden with resounding low-end and intricate drum patterns. With a love of drums rooting from childhood, his work reflects his passion — emitting percussive elements only a trained ear could produce. Buku’s debut EP release, ‘Janky’ sent a shotgun blast into the Bass Music scene – quickly gaining support and full rotation by Diplo, who described Balotsky’s production style as ‘where dubstep is going’ at the brink of 2013. 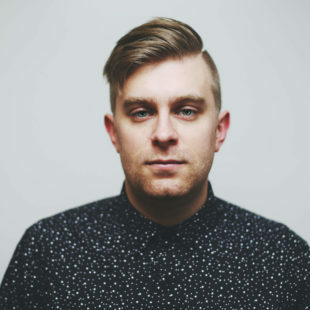 Following his break into the genre, the producer has been championed by a variety of curators, including Bassnectar, Pete Tong & Zane Lowe, as well as garnering the support of his peers for collaborations with the likes of Paper Diamond, G. Jones, in addition to being tapped for remix duties for Minnesota, Griz, Nick Catchdubs, Brillz & Tropkillaz. With a strong support from the industry, Buku has seen releases on OWSLA’s Nest HQ, UKF’s Pilot Records, as well as features on Fool’s Gold, Main Course, and Mad Decent. The producer’s latest single, ‘Front To Back’, has further solidified his stance in the scene — going viral in only a few weeks upon release, quickly climbing Spotify’s “Global Viral 50” chart to hold the #3 spot, as well as holding a #1 rank on Hype Machine throughout late 2016. As a result of his consistent output, Buku has quickly placed himself at the forefront of rising talent amongst North American producers — an impressive track record only further supported by his latest EP, ‘No Dramas’, released through the dominant Dutch dance music purveyor, Spinnin’ Records. With more releases slated for the new year, a non-stop touring schedule made up of domestic and international markets, as well as a packed festival season, and continued support from top labels & industry heavyweights, 2017 will surely see Buku’s continued upwards trajectory.